Success is a beautiful word. Many people contributes their whole life to success, because success for them just means high social status, money, and spiritual accomplishment. 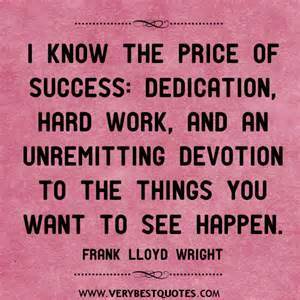 Nevertheless, for my perspective, the interpretation of success not only just means substantial enjoyment, but also dedicates yourself to others. 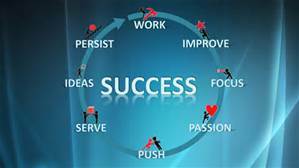 Relationships around success are inevitable, but three of them like what I mention above are core meanings. Specifically, the relationships between success, dedication, and money ought to be discussed in direct, reverse, and confounding. Talking a well-known sentence: let others be happy with you, I want to pursue the meaning this quotes. 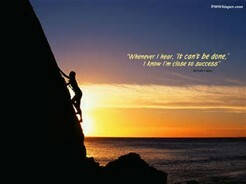 Success means what? For example, your family or your friend are in trouble, and you are the first one they want to depend. Because in their brains, you have ability to help them out, and you are willing to help someone who need help. In my family, my father always teach me that the success person never focus on how much money you have, and concentrate on how much you dedicate for other people around you. When I was young, I totally don’t know the meaning of this sentence, but from now on, I realize that what my father told me is absolutely correct. In this way, success is let others respect you, and everybody thinks your are the perfect model to mimic on the way to success. In addition, as we all know John D. Rockefeller,(reference one) the most rich man in nineteen century. There is no doubt that he is a successful man, because he is emperor in crude oil field of America. Anthropologist not only just use unbelievable bank deposit to describe him, but also dedication, clever, and generous. Many people block him when he create his business career. But since Rockefeller became successful and got accomplishment, he didn’t want to eliminate his business enemies, because in his philosophical dictionary, what doesn’t kill you make you stronger. His parents actually didn’t support him to be a business man initially, because he was born in a not rich family. Never give up, ignore the negative force, and don’t pay attention to your background, success will available for everyone. The quotes given by Rockefeller. The success prerequisites are be attribute to spiritual field, but not related money. In my thought, success is master of money, rather than the slaver of money. What’s more, success is comparable. (reference two)One thing ought to be noticed that success is not absolute. If we just compare with the best-known people, it’s impossible for us to get satisfaction feeling. Six billion people in the whole world, you don’t need to compare to everybody. I mean success is also equal to self- satisfaction. (reference five) When we face difficult problems, we should know how avoid it, and try another way to walk for success. It’s ridiculous that only use one thought to accomplish your goal. Talking about success, realization of your own success is also important. How much money you earn means success? No result for this obvious question. For normal worker, have a good family may be means success, but for business man, have one hundred million may be equal to success, etc. Some people pursue the absolute success in whole life, until they died. They don’t think they get success even thought others think so. In this way, whatever how much money they make, they are not successful, because they don’t know self-satisfaction. Comparing to the people just hard working, I prefer success with satisfaction. Happy is he who is contented with what he has. That’s why sage is always happy. I holds my view that the success is variable, not monotony forever. Success is magical, and anthropologists try to summarize the perfect definition of this word, because success is the core of people’s evolution since people have thoughts. (reference four) When people don’t live like animals, success is always available to people. 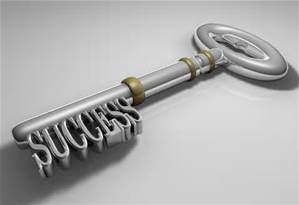 Since people start to explore the attractive success, the real definite meanings of success becomes variable, money to dedication, high status to low key, and virtual greasiness to current life. In conclusion, personal success equals to what you contribute for this incomplete society and fragile hearts of human rather than how much money you earned in your life. This entry was posted in Uncategorized on September 24, 2016 by Zihan Wang. I’m not quite convinced this is something you can scientifically answer…Not only is this a matter of personal opinion, but how can you experiment to determine success? Other than polling, I don’t see how this can be done. Likewise, I highly reccomend you put live links into your post showing some data if there is any. On a personal note, I believe success is having a steady job, starting a family, and doing everything you can to make their lives better then yours ever was. Very good article, but it doesn’t seem to be something you can truly answer. Honestly I believe that that things in life that makes you successful are friends and family. But, I also do believe that money does make you happy. When you have money you are happy because essentially that is what you work for… money. If you are successful in your job whatever it is, it means you are making money which is the purpose of a job. Personally being successful to me is raising a family, have a steady job, and being happy with what you have. Yes I like money but that is certainly not what its all about. Here is an interesting article about the power that money has on you and how addictive it can be.